I haven’t had the chance to get out and shoot over the past few nights, so I dug through the archives a bit. I came across this shot, which I took near City Hall and South Mill Pond. 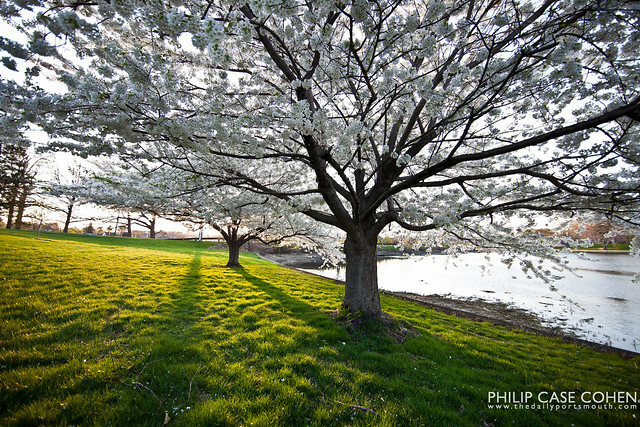 I loved the rich sunlight blasting through the newly blossomed trees and the moody shadows cast on the green grass. This is actually just a single exposure, not the typical “bracketed” 3 shot composition I usually feature….but the colors of the tree and the grass were too good in a single shot to mess with too much. I also want to thank everyone who came by 100 Market Street last night to see the show and all of the great artists and their artwork. I’m honored to be part of the show, and even more happy to be able to share that my photography was awarded the “Best in Show”! 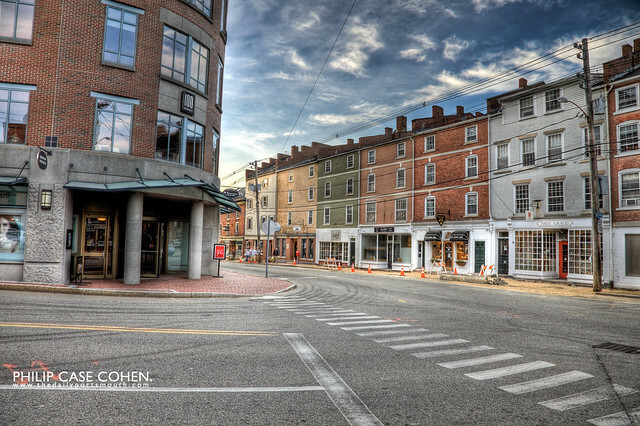 Check out some of the shots that local photographer Ron Risman took over at his flickr site here. I hope everyone has a chance to swing by the gallery…head in the revolving door at the corner of Market & Hanover Street and make your way to the 1st floor elevator.